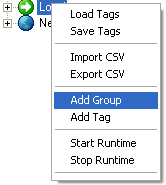 Right click on the Service and select Add Group. Or select the Add Group Button on the Menu Bar . 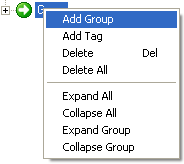 Right click on the Group and select Add-Group. Or select the Add Group to Group Button on the Menu Bar.